Putting the patient at the center of their care. It’s a key factor in applying best-practice guidelines to ensure optimum care is delivered during hospitalization and afterward. It is also vital to ensure the close patient engagement that began pre-admission continues across the surgical journey. As well as addressing nutrition in pre-operative care, through carbohydrate loading before the procedure, early nutrition is associated with improved outcomes as part of the post-operative phase. Oral or enteral nutrition has been demonstrated to be most effective if commenced within 12 hours of surgery. Similarly, fluid balance is central to the swift return of normal function, enhanced wound healing and reduced length of hospitalization. Optimal fluid balance may involve the limiting of intravenous fluids and early return to oral fluids, which may go against previous standard practices. Optimizing gut function is also important, particularly after abdominal surgery. Impaired intestinal function is often characterized by increased patient suffering and more complications, ultimately prolonging the time spent in hospital. Post-operative mobilization plans depend on the nature of the procedure and condition of the patient. A detailed pre-operative assessment is essential to agree appropriate rehabilitation goals with the patient. Early mobilization maintains muscle mass and promotes muscle strength, whilst maximizing respiratory function, so is a key part of rehabilitation. A post-operative morbidity survey (POMS) is a validated 18-item survey which addresses nine domains of postoperative morbidity. It aims to identify morbidity of a type and severity that could delay discharge from hospital. If it is used early in post-operative care, and repeated daily during post-operative care, issues can be addressed that might result in delayed discharge and recovery. Discharge should be planned jointly with the patient, their family and/or carers and start in the pre-operative phase. Involve therapy teams and/or community services at the pre-operative assessment to ensure specific needs can be proactively planned and managed, avoiding unnecessary delays in discharge. Adherence to agreed patient-focused discharge criteria, discussed with the patient prior to surgery, should facilitate discharge when the patient agrees they are ready. Make sure the primary care team involved in referral of the patient for the procedure are aware of the patient’s ongoing needs prior to discharge and have confirmed their proactive support. Additional relevant services need to be engaged in a timely manner and the appropriate appointments/referrals coordinated efficiently. Patients who are actively monitored following discharge are less likely to be re-admitted, avoiding ﬁnancial penalties for re-admission and improving patient satisfaction. Create a patient discharge pathway that engages the patient and monitors their recovery once discharged. The patient, relatives and/or carers need to understand the follow-up arrangements to avoid any confusion or anxiety. Ongoing dialogue between the patient and relevant members of the care team will help maintain patient confidence and improve experience and outcomes during rehabilitation. With Lumeon Care Pathway Management, providers can deliver on the promise of enhanced recovery by defining pathways which incorporate all these best practice guidelines. 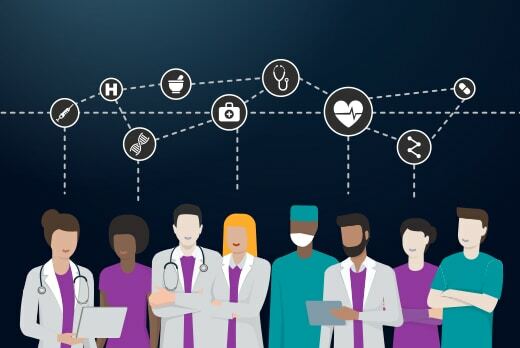 By embedding as standard into the operational workflow, and automating what can be automated, providers can be assured care is standardized at the highest level to achieve the best outcomes for each patient. If you would like more information about Care Pathway Management and how Lumeon can help you further automate and operationalize enhanced recovery after surgery to make it the norm, get in touch.